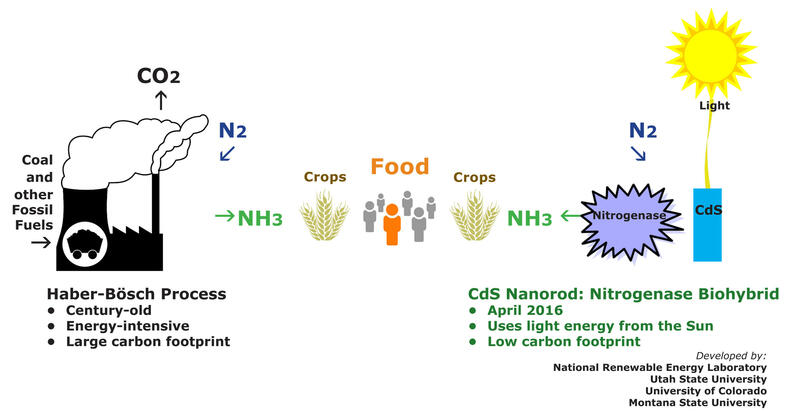 The complicated process of using sunlight to convert Nitrogen (N2) into Ammonia (NH3) using nanorods. A new scientific discovery may change the way we make fertilizer. 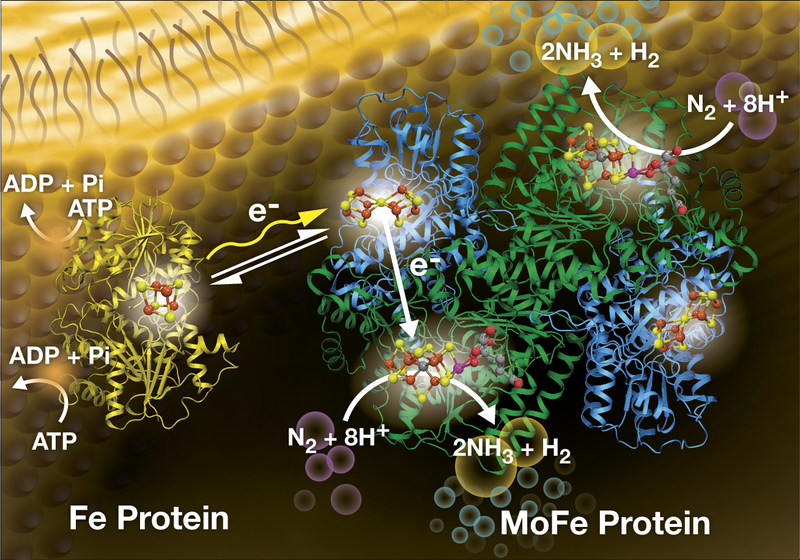 A team of researchers have found a new way to produce Ammonia (NH3) from atmospheric Nitrogen (N2) using sunlight instead of fossil fuels. The discovery may have profound effects on the sustainability of food production. The old way of fixing Nitrogen (left) and the new way (right). Listen to the full interview with Dr. Lance Seefeldt here. Listen to full audio story here. Highway signs across Utah feature a beehive, a symbol of the state’s official insect since 1983. But the honeybee is just one of more than 4,000 species of bees in the United States—and we know very little about most of them. That’s one reason why the Obama Administration created a task force to improve health outcomes for the nation’s pollinators. The Ecology Center at Utah State University hosts Dr. Lisa Schulte-Moore this Wednesday and Thursday as part of its 2015-2016 Seminar Series. Schulte-Moore, an associate professor of Natural Resource Ecology and Management at Iowa State University, studies the ecology of sustainable land management through the lens of coupled human and natural systems. Last year, agricultural producers experienced the worst drought in generations. 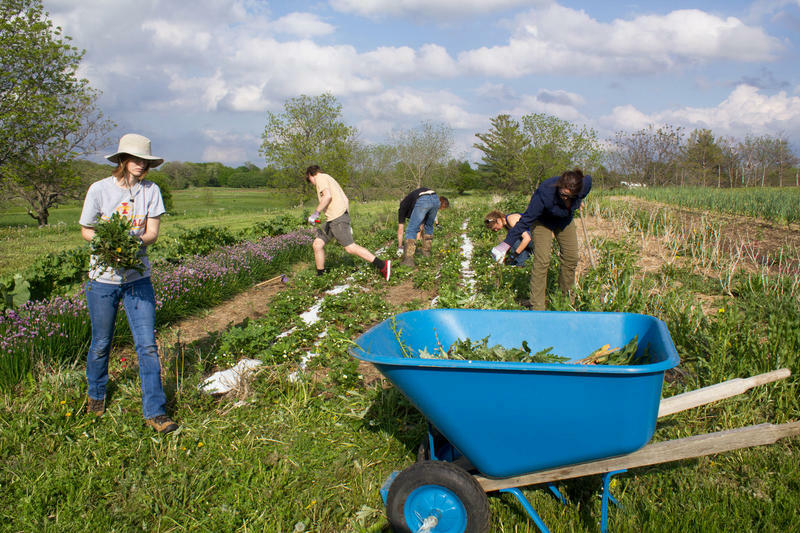 Secretary of Agriculture Tom Vilsack announced this week the department's vision for agriculture in the face of evolving environmental challenges. Today on the program, Sheri Quinn talks to USDA spokesperson Blake Walbeck about the challenges ahead for farmers and ranchers in Utah and discusses conservation stewardship funding available to producers in Utah and nationwide.